Hydrogen Gas is used in water production, fossil fuel processing, ammonia production, etc. We, hailing from Uttar Pradesh (India), have pioneered the supplying of Hydrogen Gas. Our Hydrogen Gas is 100% pure and non-toxic. 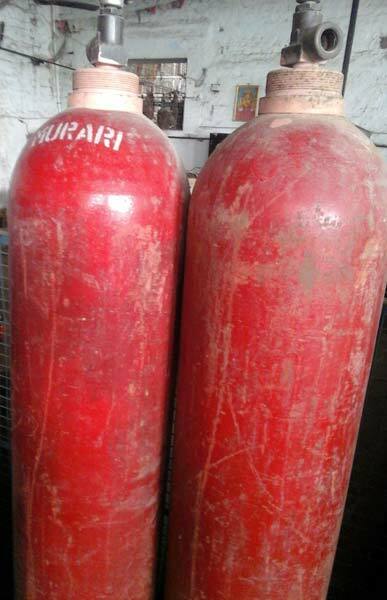 This Hydrogen Gas is provided in top quality cylinders at the most reasonable price. When it comes to delivery, we assure medium as well as bulk are delivered within the promised time period. Electrical generators use the gas as a rotor coolant. The element is relied upon in many manufacturing plants to check for leaks. Hydrogen can be used on its own or with other elements. Other applications include fossil fuel processing and ammonia production. Ammonia is part of many household cleaning products. It is also a hydrogenating agent used to change unhealthy unsaturated fats to saturated oils and fats.